At La MaMa, 66 E 4th Street, East Village. 8pm. Free. More info here. I can’t say I know a ton about Watoku Ueno’s one-night-only piece at La MaMa, but maybe they’re staying true to their name and keeping all the juicy details a secret… What I do know is that it’s based off Japanese folklore, specifically a story known as “Crane Wife,” where a man marries a woman who is really a crane in disguise and makes money by weaving her own feathers into silk brocade and leaves once her husband finds out she’s really a crane. That is true independence and craftiness, if I do say so myself. 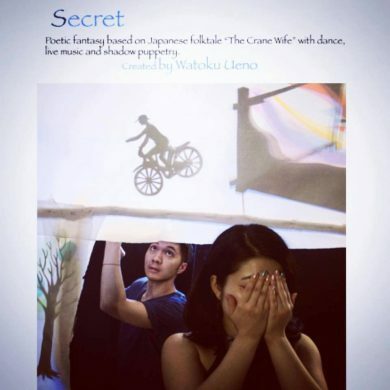 Secret includes not only dance and live music but also some glorious shadow puppetry that will bring this odd little tale to life.